On the plus side, the writing is absolutely excellent, easily on par with any episode of Rick and Morty, same goes for the delivery; Roiland absolutely kills it, you could absolutely believe that you were just inside an episode of the show. Speaking of that, it is incredibly bizarre to be inside Rick’s garage and the Smith family living room, being inside a 3d version of something you’ve seen in 2D is just… very odd. 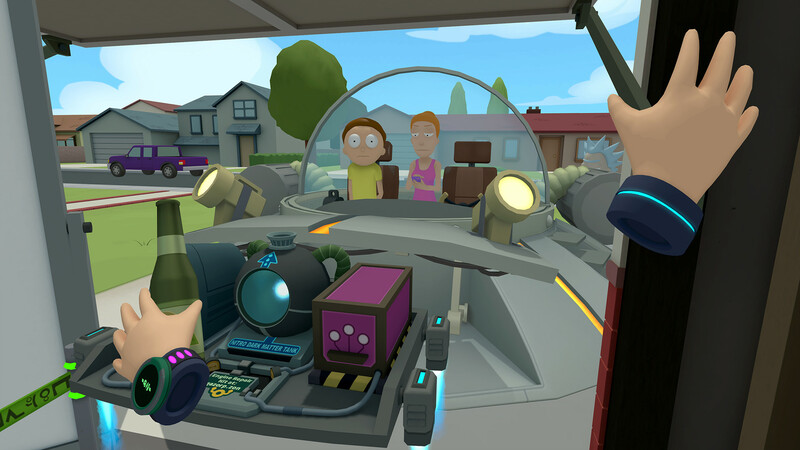 I won’t go into detail on the story, as honestly experiencing that is possibly the best bit about the whole game, but at its basic you play as a Morty clone (one who happens to be just a floating head and hands), created to help Rick do his laundry and other menial tasks around the house. Wacky hijinks ensue. 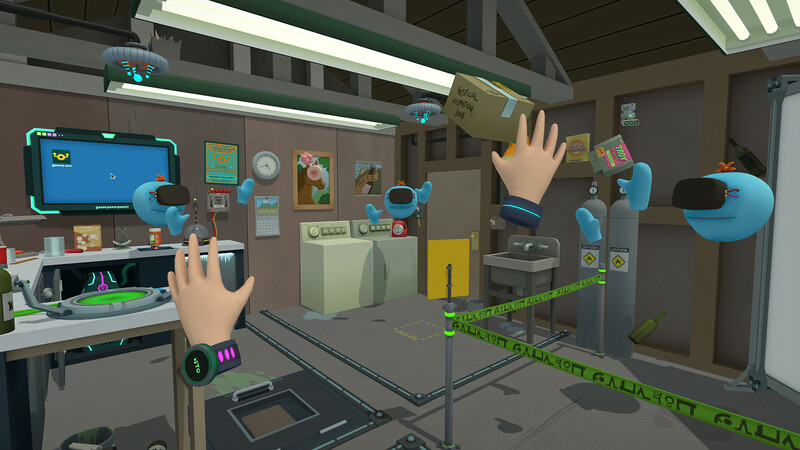 Gameplay is very similar to Job Simulator which should not come as a surprise considering it was developed by the same studio. However, while the tasks in Job Simulator remain fairly simple, a few in this can get very stressful indeed (I’m looking at you microverse battery recharger!). The play area is absolutely cram packed with easter eggs, and honestly, I had a large part of my fun just searching for stuff to laugh at. Another large portion of the time I was playing with the combiner, a small gameplay device that allows you to combine any 2 items into a new, mixed item. Now most of these items are utterly useless, it’s so much fun to see what happens with say, a poo and a gun? Hammer and a laxative? Alien crystal and Rick’s medicine? I think I stood there for over an hour just messing with things to see what happens. And here’s where my major criticism comes in, you can beat the whole game in less than 2 hours. And for the price? I don’t think this is a particularly fair deal. What gameplay and story is here is very well done, bordering on the excellent, but in such a small amount that I can’t help but be disappointed. If you own a Vive, and are a R+M superfan, you probably already own it, and if you don’t, definitely try it, it’s been built for you. If you’re not a superfan, I’d say wait for it to come down in price, or get updated with new content before giving it a go, it’s just too much for too little.